story that will take your family and friends on a papercut adventure. With a hare that is the fastest sprinter in the county, a mouse that loves to whisper gossip and a mischievous squirrel that is always up to something, you are bound to have many a tale to tell! 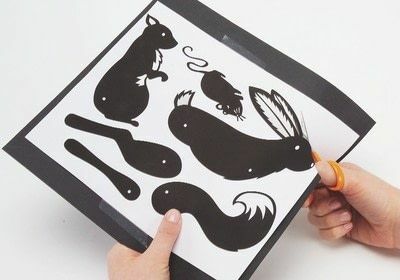 Shadow puppets work best on black card, and these instructions will guide you in attaching the templates to your card and cutting them out. 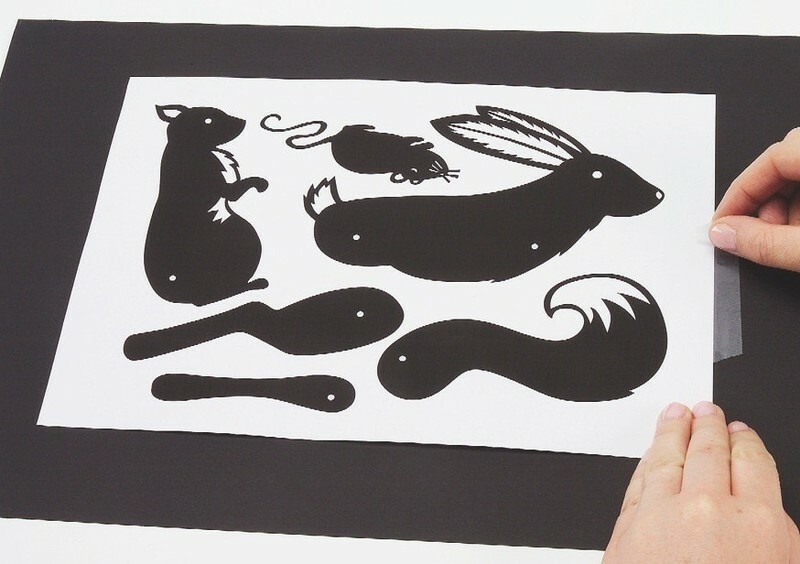 An alternative is to photocopy the templates onto white card to start with and cut them straight out to save you sticking down templates. You could then paint the cutout shapes black afterwards. Posted by Search Press • Published 16th January 2013 • See Search Press's 205 projects » © 2019 Emily Hogarth / Search Press · Reproduced with permission. 23 card. 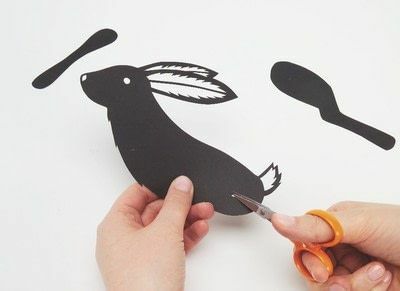 Using a craft knife on a cutting mat, or scissors, begin to cut out the bodies, legs and tails, of the puppets. 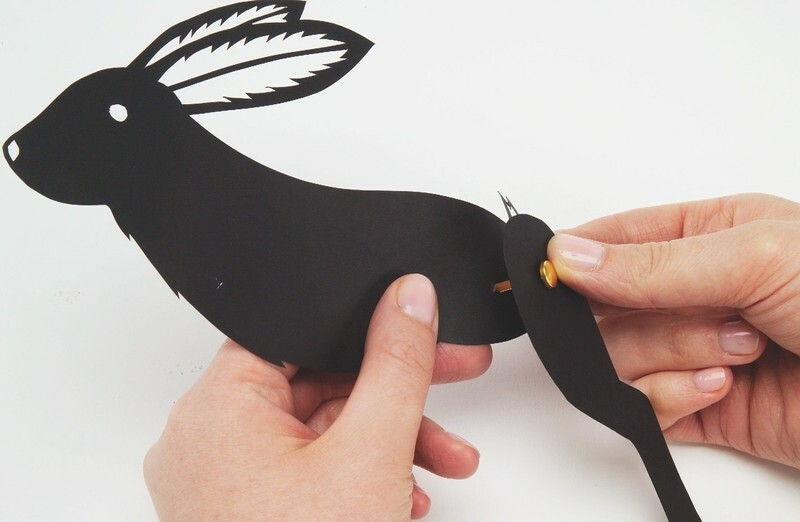 Now cut out any features that you want your puppets to have – eyes, noses, whiskers or fur details, for example. The final stage of the papercutting is to cut out the holes for the fastenings (shown as small white circles on the templates). Use scissors to cut these small holes. 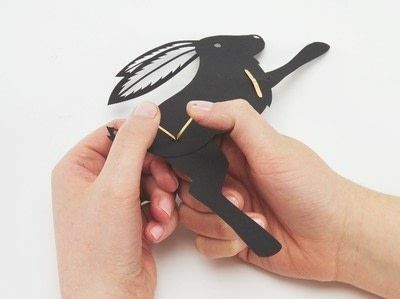 Next, attach the hare’s legs. 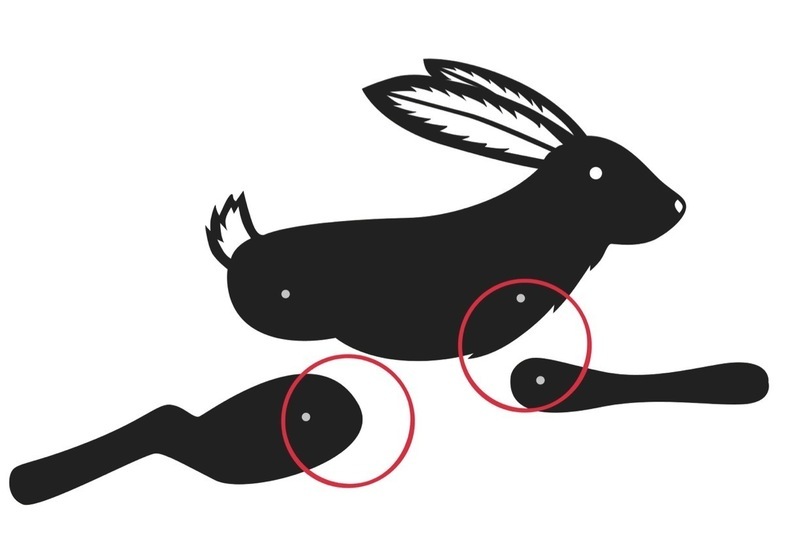 Match up the circles on the hare’s legs to the ones on its body. Once you have them in place, insert the brass paper fasteners through the circles from front to back. Turn the puppet over and bend back the arms of the fasteners so that the legs are attached to the body. repeat steps 4 and 5 to attach the squirrel’s tail. Now all you have to do is practise bringing your puppets to life by manoeuvring them with the sticks. 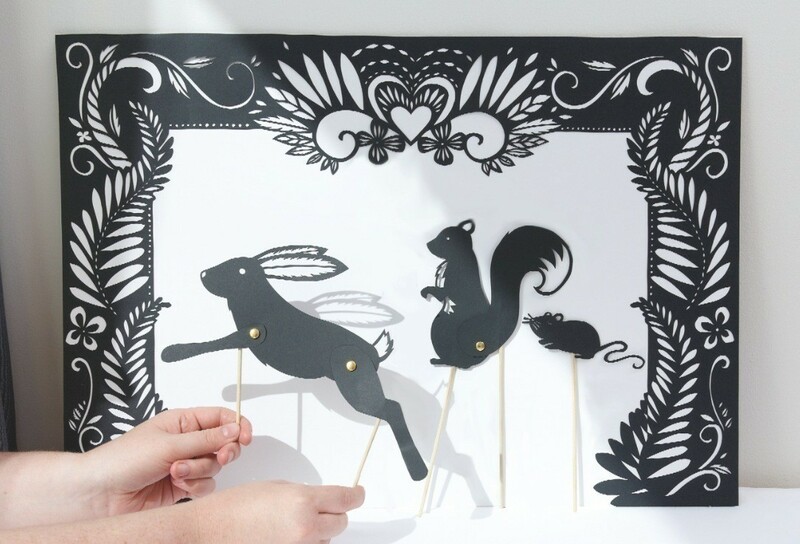 To create magical shadows, shine a lamp at your puppets while moving them, to see the animals dance across the room. Circled in red are the trickiest areas to cut. The holes can be difficult so be careful and make sure they line up so you can place the brass fasteners through. 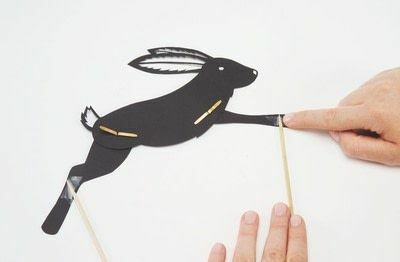 Yay, Shadow puppets, one my favorite kinds of puppets! I want this book now! Thanks for uploading this project!